Over the years I have read multiple books by Joyce Meyer. If you’ve been following my blog you know the profound impact her ministry has had on my life. The message of this particular book is one of Joyce’s foundational teachings and is one I’m sure she will continue teaching as long as she has breath. Why is it she continues to pound away at us about our words? Because our brains are extremely stubborn and don’t given up bad habits easily! Joyce has written several books and preached countless messages about the mouth. But I believe Change Your Words Change Your Life is her most user friendly to date. She gives us a dictionary of Scriptures divided up by topics to help us quickly in our time of need. Through good times and bad, complaining, encouraging, and opinions… she doesn’t miss a beat. And what I love most about Joyce is that she keeps it real by sharing her own areas of weakness and growth! I have personal experience that this principle works, so I highly recommend Change Your Words Change Your Life by Joyce Meyer! 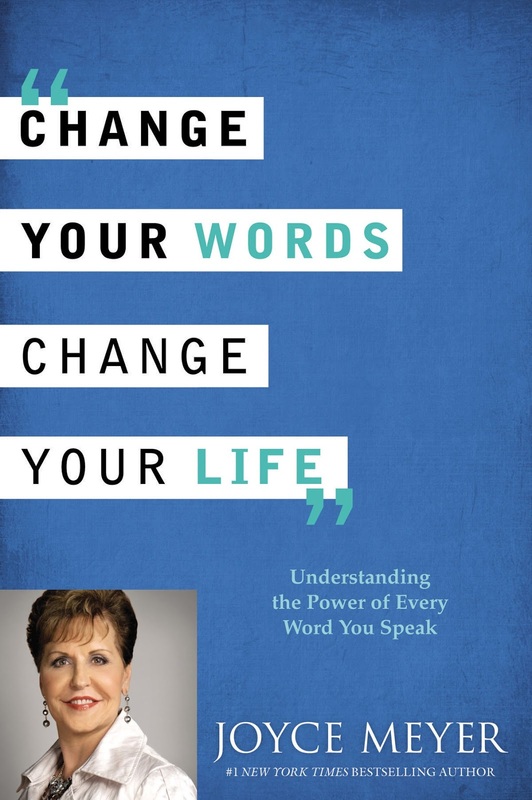 If you can’t see the video screen below CLICK HERE for a wonderful conversation between @JoyceMeyer and @JohnCMaxwell on the power of our words.